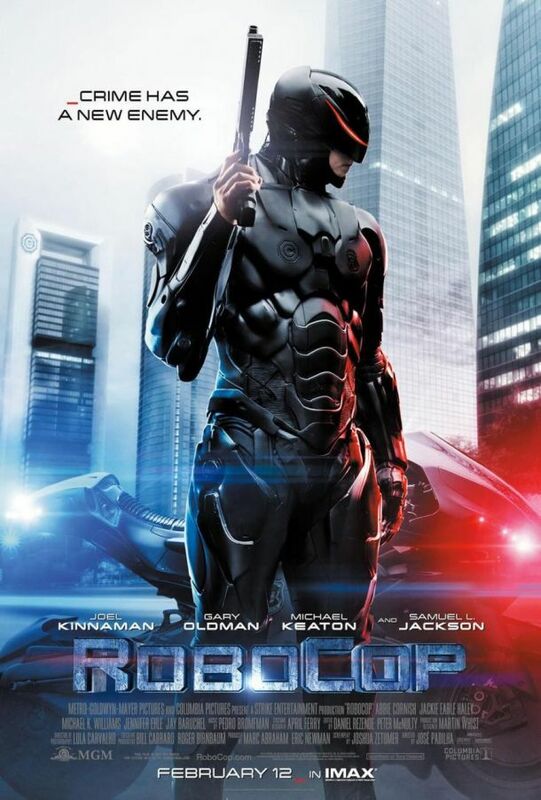 When Jose Padilha announced he would direct a remake of Paul Verhoeven’s 1987 "RoboCop", many fans of the original film started an uproar against the very idea. I’m sure such negative reactions arose on account of the disastrous sequels and embarrassing spin-offs that followed the first film, therefore making many believe Padilha’s attempt at modernizing the 80’s classic would be just as dreadful. Surprisingly enough, this reboot, although unnecessary, is satisfying in its own right. For starters, it boasts a powerful cast (Michael Keaton, anyone? ), improved special effects and a more believable story than the 1987 version. Hardly a remake; it’s “RoboCop” in name only, taking the premise of the original and creating something entirely new with the character. Working from a script by Joshua Zetumer, the movie takes us back to the same city the original took place in--crime-ridden Detroit. Technological giant Omnicorp manufactures crime-fighting drones to nations all across the world in an effort to keep the crime rate down and maintain “peace.” The United States government refuses to allow the company’s robotic police androids in the country mainly because these machines cannot be held culpable for killing. The company’s CEO, played excruciatingly well by Michael Keaton, realizes that in order to sell his products to the U.S. government, he’ll need a man to manually operate his drone. Coincidentally, police officer Alex Murphy (Joel Kinnaman) is critically injured in a car-bombing incident, and so happens to be the perfect test subject for the newly designed Robotic suit. Joel Kinnaman plays the role of RoboCop in a very emotional manner. In fact, the film’s main focus is on how Murphy’s human emotions try to fight the mind-controlling effects of the mechanical outfit. This new adaptation of RoboCop is much more thought-provoking than the original, and is filled with more tears than bullets (Alex’s wife Clara, played by Abbie Cornish, provides most of these tears). Nevertheless, the movie is filled with plenty of impressive action scenes thanks in part to the special effects. Now what keeps this movie intriguing isn't necessarily the very typical action scenes or even RoboCop himself. In fact, it's the supporting actors and characters that keep the reboot entertaining. Samuel L. Jackson’s amusingly bizarre role as a paranoid host of a Fox-News-type show called “The Novak Element” is seen throughout and provides a necessary comic relief to a movie that takes itself very seriously. Gary Oldman plays the very devious Omnicorp researcher who puts Murphy into the drone. His performance is very note-worthy and displays an exceptional amount of flamboyance. Overall, this new version of RoboCop is very somber. It seems as though Padilha refused to directly recreate the same cold, violent and vulgar environment the original is known for. He successfully created a more heartfelt, sentimental yet enthralling action movie including more politics, realistic dialogue and a scary, but familiar look into a mechanical future. This "remake" is not the total failure that many believed it would be--it goes beyond the world the 1987 film created.